How to choose a suitable trip? Iceland Road trip offers wide selection of various tours in Iceland, so everyone should be able to find something that suits their plans. All tours are categorized by type and you can see them here to your left. Self drive tours offer you flexibility and freedom while exploring Iceland on your own, while guided and adventure tours give you a chance to experience Iceland under professional guidance. If you are not excited about joining a tour group and prefer more intimate trip, you will surely find our private guided tours more suitable. Our day trips are perfect for those who are based in Reykjavík and still want to see the astonishing sites of Iceland or join an activity day tour. To find out more information about each category, simply click on category name that you´re interested in. To make your search for the perfect tour easier and quicker we recommend using the theme tabs on top of the page after you have selected the tour category. For example, if you are travelling with children, take a look at family trips, which are specially customized and suitable for children. If you are travelling to Iceland in winter time, the northern lights tours will probably suit you best. You can find out more information by clicking on each theme tab. The tours are listed below each theme description. How to book and what is the process? Booking your dream vacation to Iceland is easy and informative with IcelandRoadtrip.com. All trips can be booked online through our website in easy simple manner. We display all prices and inclusions to help our visitors to make an informative decision on what option will best suit their wants and needs. 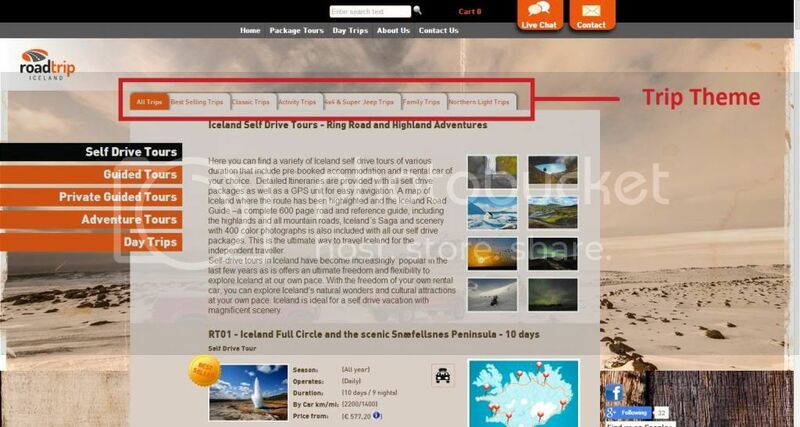 Please see further information here below on how to find prices and book different trips with IcelandRoadtrip.com. • Time of the year you plan on visiting. There is a special Price Calculator button with every self-drive tours and private guided tours where you can enter your choice of type of accommodation and car (Applicable with self drive tours), number of people and your arrival date. The Price Calculator will calculate and display the price according to your specifications. This way you can see how different choices in car and accommodation types affect the price of the package. For self drive trips and private trips we require a 15% deposit at the time of booking. Full payment is due 5 weeks prior to arrival. We are able to customize all self-drive and private tour packages to meet the needs and desires of our visitors. Our team is on standby ready to assist you with planning your Iceland vacation. All our guided group trips are provided with a special price tab where you will find information on prices depending on season, room type requirements (single rooms, double rooms, triple rooms) etc. Once decided on a package, press the book now button. From here you are directed to the booking process where we require certain information. No charges are made when booking guided group trips through our website. Charges are made after we have confirmed the tour by e-mail along with information on how to make payment through our secure payment facility. We strongly recommend booking a tour before booking flights to to avoid the unfortunate event of a trip being fully booked. 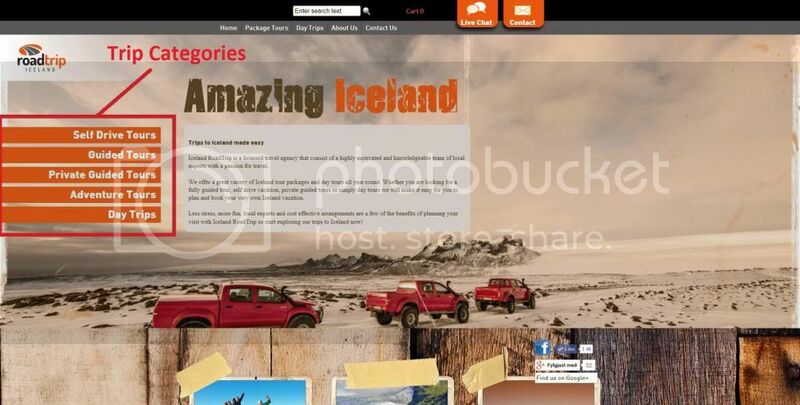 Once a booking is made an automatic e-mail is sent informing you that the order has been placed and is currently being processed by the Iceland Road Trip team. When the processing of you booking is finalized and travel documents are ready you will be contacted by one of our travel agents with further details. We are certainly happy to answer any questions you might have regarding our tours so please don’t hesitate to be in touch. How to book Day Trips? All day trips can be booked through our website up until 24 hours prior to the tour departure. IcelandRoadtrip.com offers the option of putting together your Iceland vacation on your own by adding several day trips to the Wish list on our website and booking everything in one booking. Start by browsing the selection of trips available. Trips can be added to the wish list by pressing the ´add to wish list, tab found with each trip. Once you are confidant that your wish list is ready you press the book now tab from which you will be taken through the booking process. If you have not yet booked you accommodation in Reykjavik we are certainly able to take care of that for you as well as airport transfers. Simply leave a comment in the comment field of the booking, requesting a quote for accommodation or/and airport transfers as well. One of our travel agents will process the booking and contact you by e-mail within 24 hours of booking. If you need help with deciding on tours we welcome all questions and inquiries. A full payment is required at the time of booking.